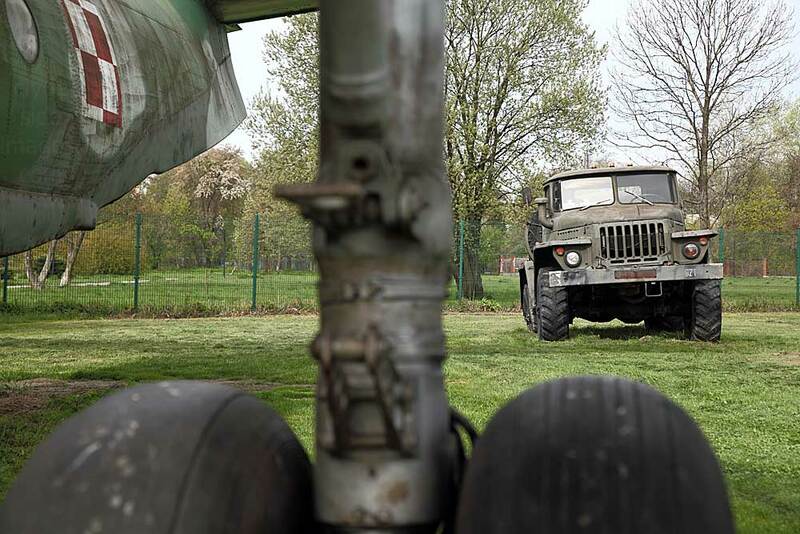 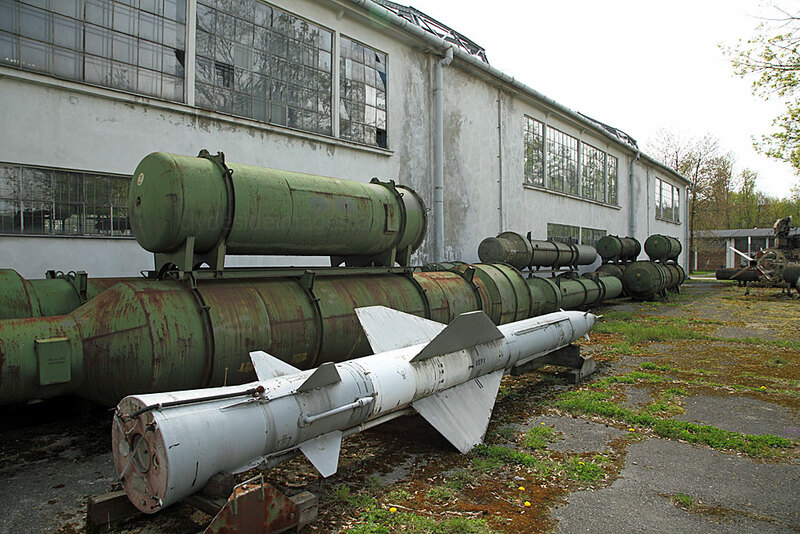 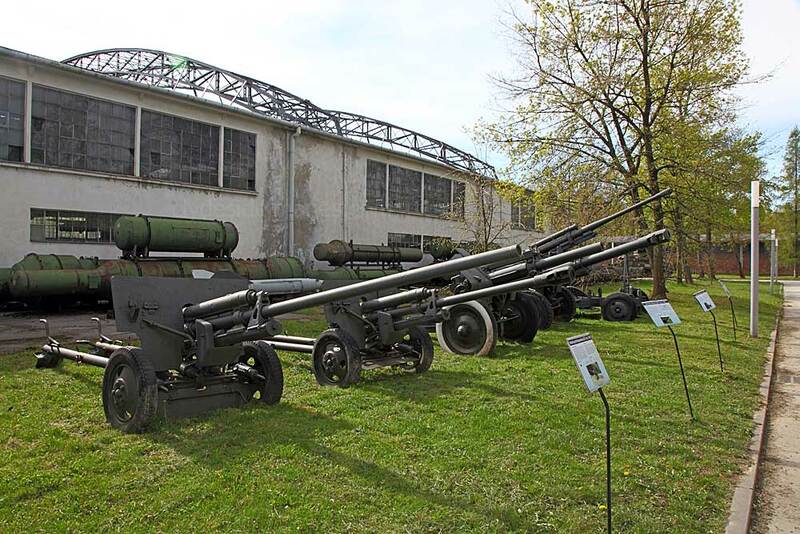 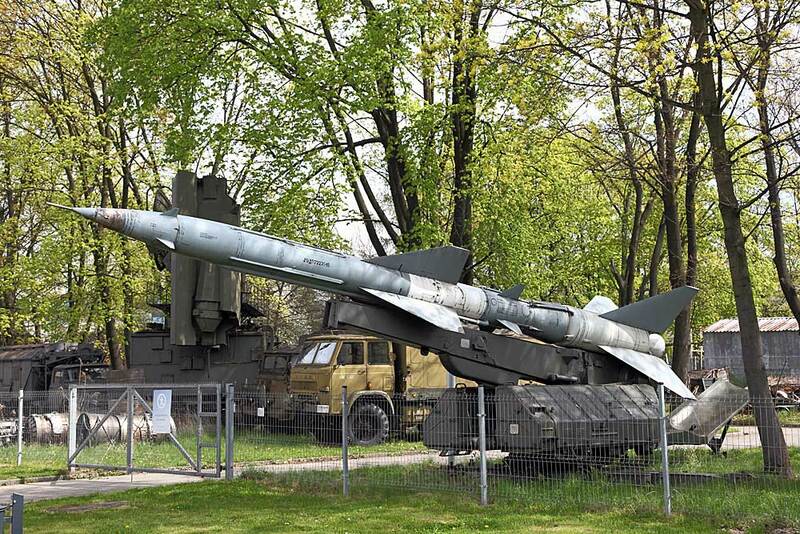 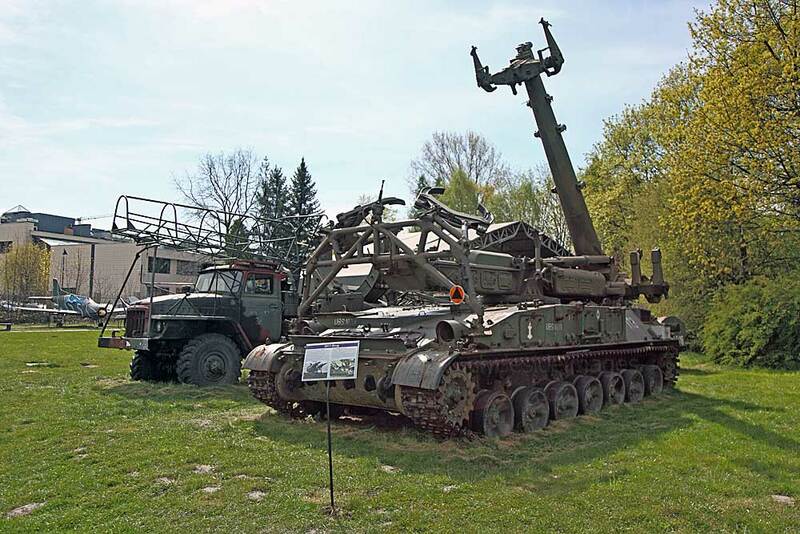 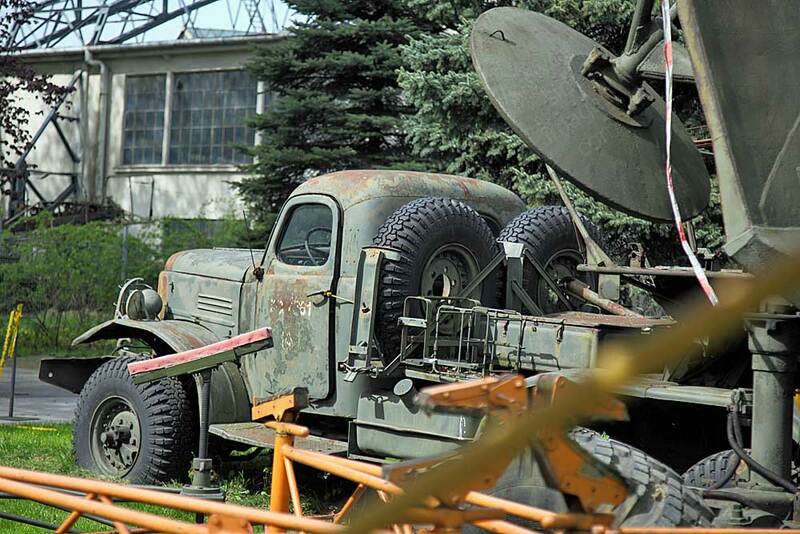 In addition to military vehicles and Second World War artillery, a number of missile systems from the Cold War era are on display including ​2K11 Krug (NATO: SA-4 Ganef), S-125 Neva (NATO: SA-3 Goa), S-75 Dvina (NATO: SA-2 Guideline) and S-75M Volkhov (NATO: SA-2C Guideline). 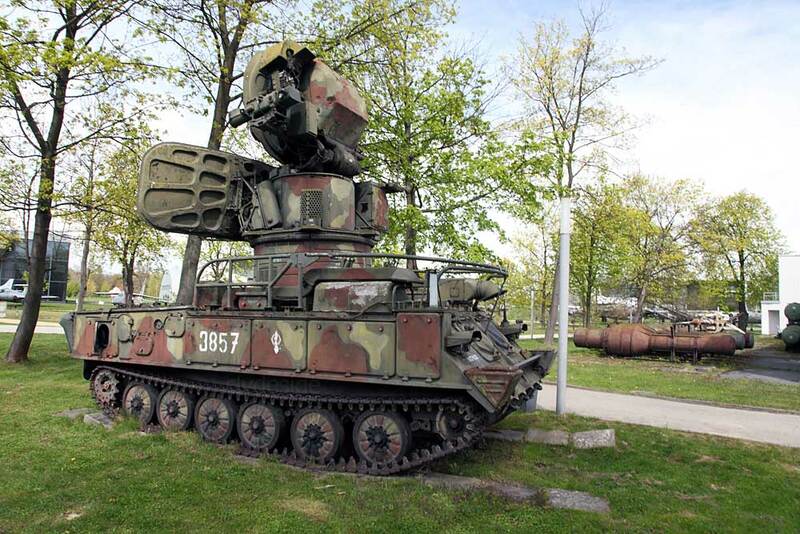 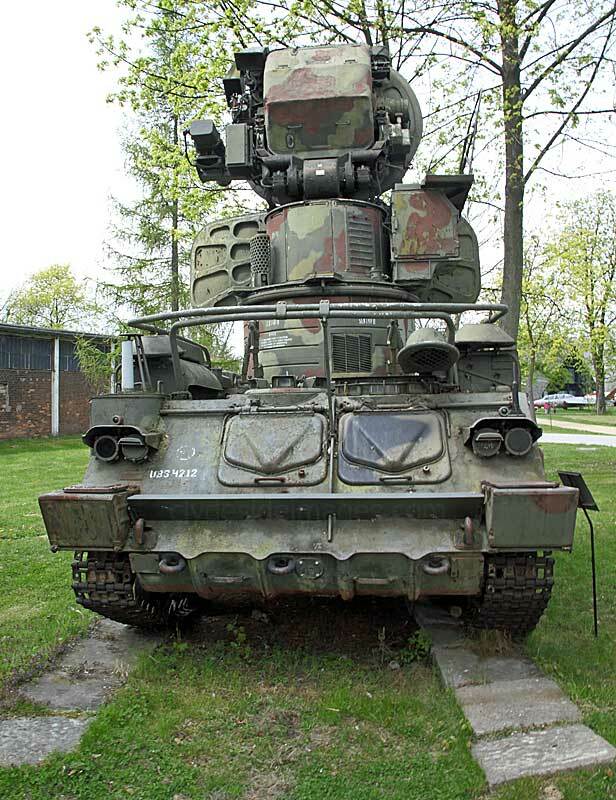 Below: The Soviet-built 2K11 Krug (Circle) (NATO: SA-4 Ganef) was a mobile long-range, medium to high-altitude, surface-to-air missile (SAM) system. 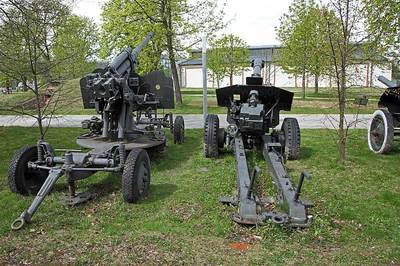 Production began in 1967 with the upgraded Krug-M following in 1971 and Krug M1 in `74. 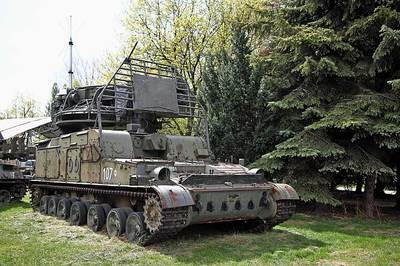 Each unit comprises a 2P24 tracked transporter-erector-launcher carrying two missiles on an elevating turntable; a 1S12 target detection station, a 1S32 missile guidance station and a 2T6 transporter-loader vehicle. One of the trucks that forms part of a Krug unit is shown above. 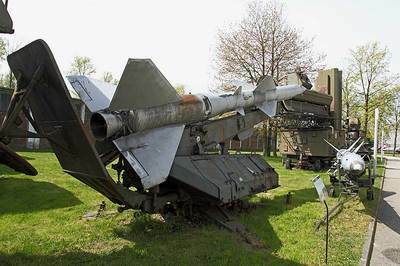 The SA-4 missile, which carries a 135 kg (300 lb) warhead, could attain speeds of up to 3,600 km/h with an effective range of 50–55 km (31–34 miles) depending upon the version. Possible engagement altitudes range from 100 metres – 27 km (330–88,500 feet). Missile guidance is via radio command with a terminal semi-active radar homing (SARH) phase (in M version). 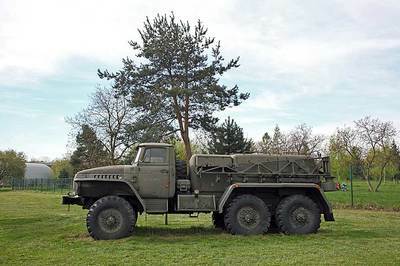 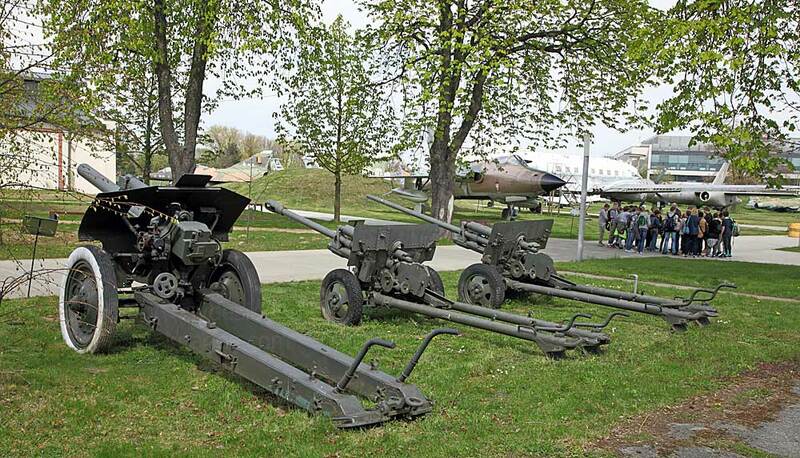 The Krug system entered the Soviet Army’s inventory in 1969 and during 1979–1980 they were briefly deployed to Afghanistan, although they were not used in combat. 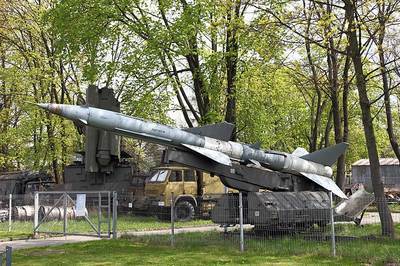 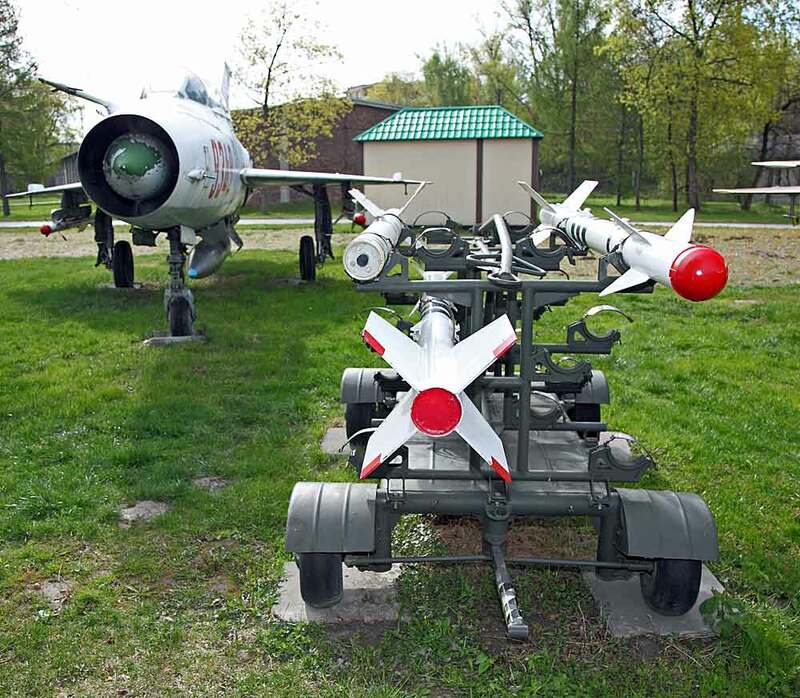 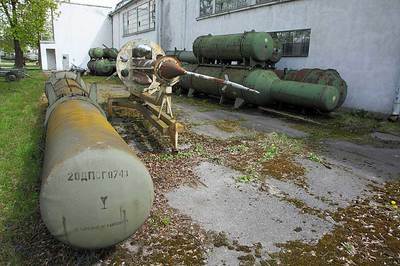 The Krug systems also equipped other Warsaw Pact countries, including Poland (until 2011). 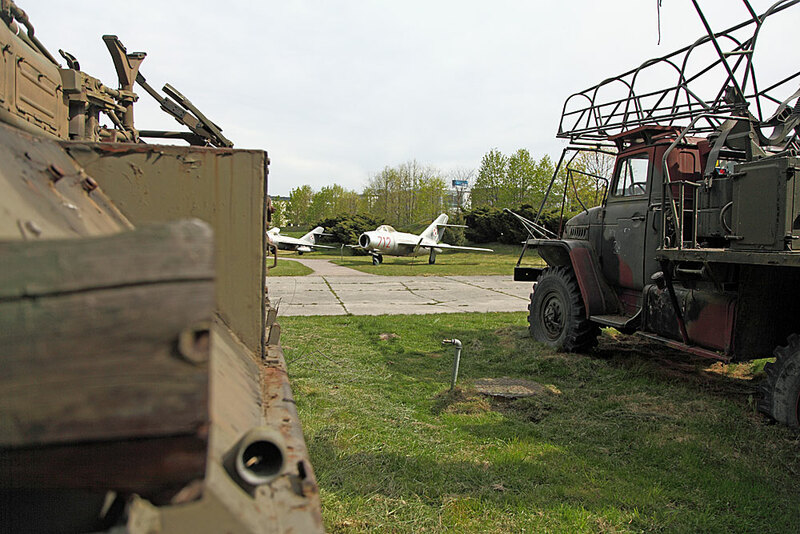 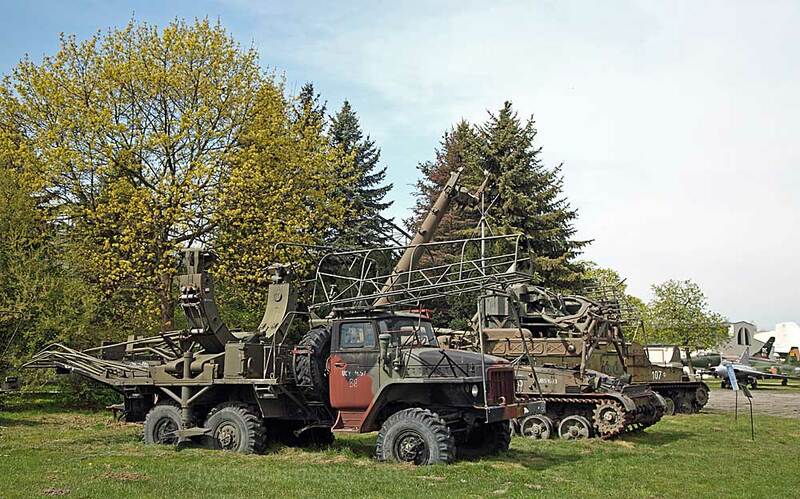 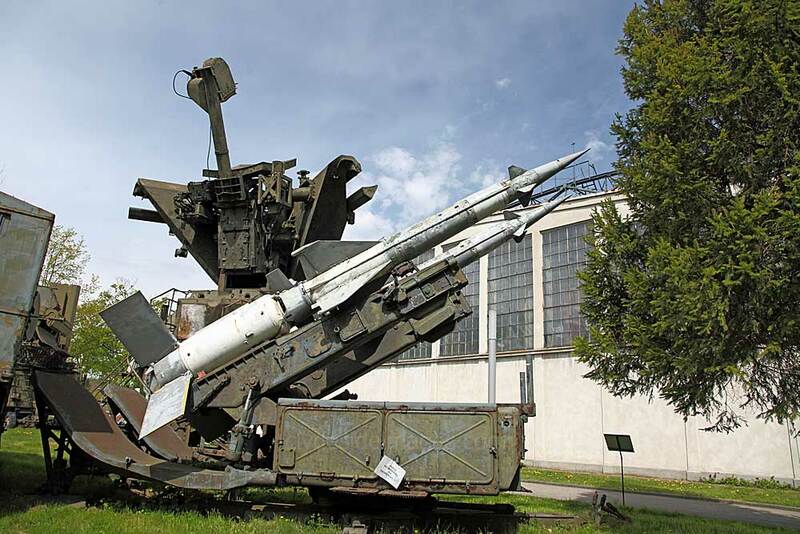 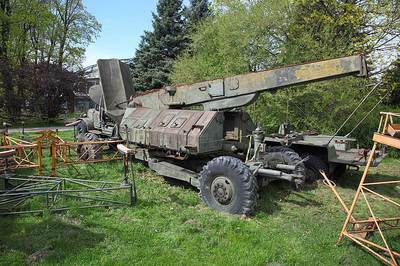 Left: A target acquisition and distribution radar SURN 1S91M1(SSWN) forming part of the 2K12 Kub (SA-6 Gainful) mobile anti-aircraft missile system from the 1970s. 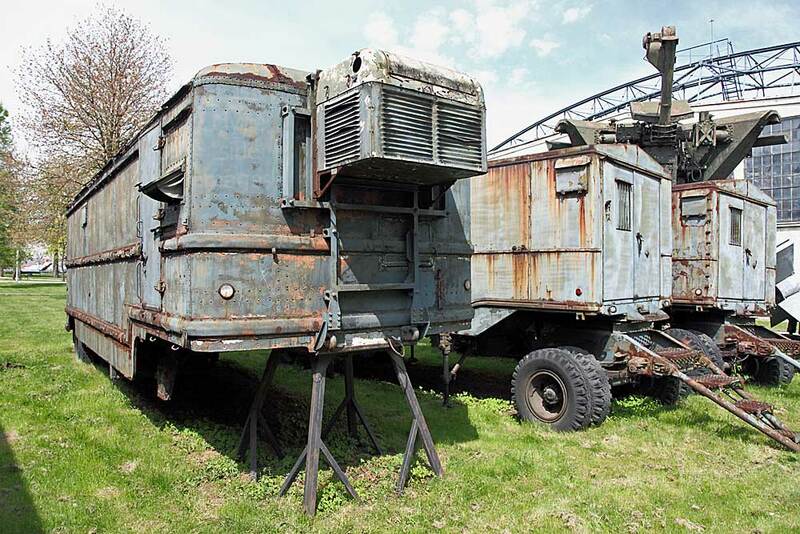 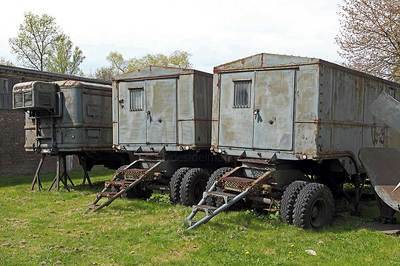 Over 2,000 of these units had been manufactured by the early 1980s, by which time the Soviet Army had approximately 875 on line. 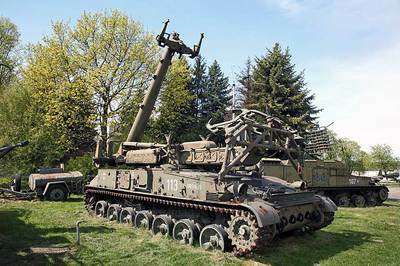 Around 1,100 units were exported, including 440 to Warsaw Pact countries including Poland with whom the system is still operational. The Kub`s combat debut came during the Yom Kippur War in October 1973, when Egyptian and Syrian Kubs downed 30 Israeli aircraft (in addition to several on their own side).